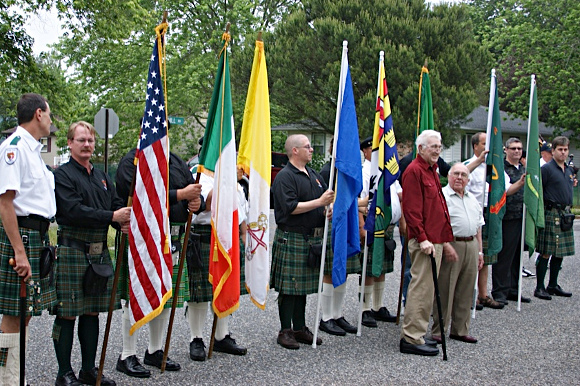 Brothers it is with great sadness that we must announce the passing of Gene O’Brien a member of All Irish Martyrs Division Two Cape May. contingent of members complete with division flags in division wear and led by a piper. Gene pictured here with cane was able to receive his brothers one last time. To Pat Jockel and all the members of Cape May 2 well done brothers !!! To Gene may God hold you in the palm of his hand.